ICANN was formed in 1998. It is a not-for-profit partnership of people from all over the world dedicated to keeping the Internet secure, stable and interoperable. It promotes competition and develops policy on the Internet’s unique identifiers. ICANN doesn’t control content on the Internet. It cannot stop spam and it doesn’t deal with access to the Internet. But through its coordination role of the Internet’s naming system, it does have an important impact on the expansion and evolution of the Internet. Participation within ICANN is free and open to all. The domain name system, or DNS, is a system designed to make the Internet accessible to human beings. The main way computers that make up the Internet find one another is through a series of numbers, with each number (called an “IP address”) correlating to a different device. However it is difficult for the human mind to remember long lists of numbers so the DNS uses letters rather than numbers, and then links a precise series of letters with a precise series of numbers. The end result is that ICANN’s website can be found at “icann.org” rather than “192.0.34.163” – which is how computers on the network know it. One advantage to this system – apart from making the network much easier to use for people – is that a particular domain name does not have to be tied to one particular computer because the link between a particular domain and a particular IP address can be changed quickly and easily. This change will then be recognised by the entire Internet within 48 hours thanks to the constantly updating DNS infrastructure. The result is an extremely flexible system. A domain name itself comprises two elements: before and after “the dot”. The part to the right of the dot, such as “com”, “net”, “org” and so on, is known as a “top-level domain” or TLD. One company in each case (called a registry), is in charge of all domains ending with that particular TLD and has access to a full list of domains directly under that name, as well as the IP addresses with which those names are associated. The part before the dot is the domain name that you register and which is then used to provide online systems such as websites, email and so on. These domains are sold by a large number of “registrars”, free to charge whatever they wish, although in each case they pay a set per-domain fee to the particular registry under whose name the domain is being registered. ICANN draws up contracts with each registry*. It also runs an accreditation system for registrars. It is these contracts that provide a consistent and stable environment for the domain name system, and hence the Internet. In summary then, the DNS provides an addressing system for the Internet so people can find particular websites. It is also the basis for email and many other online uses. What does ICANN have to do with IP addresses? ICANN plays a similar administrative role with the IP addresses used by computers as it does with the domain names used by humans. In the same way that you cannot have two domain names the same (otherwise you never know where you would end up), for the same reason it is also not possible for there to be two IP addresses the same. Again, ICANN does not run the system, but it does help co-ordinate how IP addresses are supplied to avoid repetition or clashes. ICANN is also the central repository for IP addresses, from which ranges are supplied to regional registries who in turn distribute them to network providers. Root servers are a different case again. There are 13 root servers – or, more accurately, there are 13 IP addresses on the Internet where root servers can be found (the servers that have one of the 13 IP addresses can be in dozens of different physical locations). These servers all store a copy of the same file which acts as the main index to the Internet’s address books. It lists an address for each top-level domain (.com, .de, etc) where that registry’s own address book can be found. In reality, the root servers are consulted fairly infrequently (considering the size of the Internet) because once computers on the network know the address of a particular top-level domain they retain it, checking back only occasionally to make sure the address hasn’t changed. Nonetheless, the root servers remain vital for the Internet’s smooth functioning. The operators of the root servers remain largely autonomous, but at the same time work with one another and with ICANN to make sure the system stays up-to-date with the Internet’s advances and changes. As mentioned earlier, ICANN’s role is to oversee the huge and complex interconnected network of unique identifiers that allow computers on the Internet to find one another. This is commonly termed “universal resolvability” and means that wherever you are on the network – and hence the world – that you receive the same predictable results when you access the network. Without this, you could end up with an Internet that worked entirely differently depending on your location on the globe. The managers of country code top-level domains *(a special exception as explained at the bottom). The “at large” community, meaning average Internet users. And finally, there is a Technical Liaison Group, which works with the organisations that devise the basic protocols for Internet technologies. ICANN’s final decisions are made by a Board of Directors. The Board is made up of 21 members: 15 of which have voting rights and six are non-voting liaisons. The majority of the voting members (eight of them) are chosen by an independent Nominating Committee and the remainder are nominated members from supporting organisations. ICANN then has a President and CEO who is also a Board member and who directs the work of ICANN staff, who are based across the globe and help co-ordinate, manage and finally implement all the different discussions and decisions made by the supporting organisations and advisory committees. An ICANN Ombudsman acts as an independent reviewer of the work of the ICANN staff and Board. 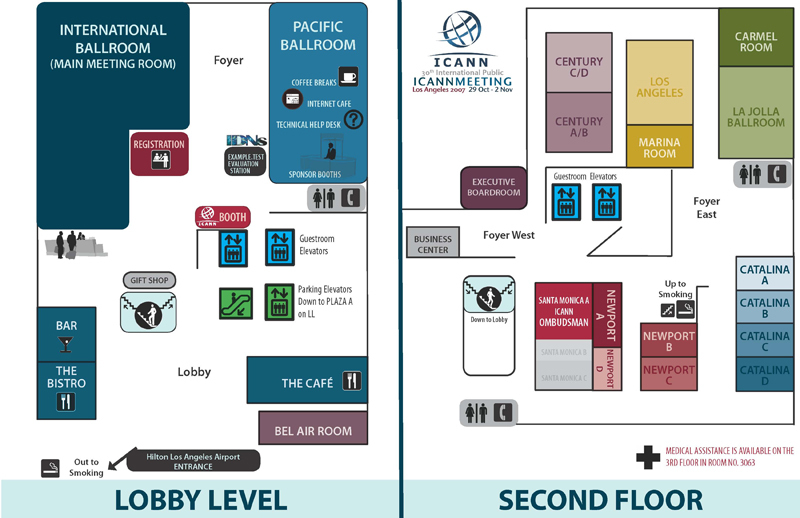 How does ICANN make decisions? Any issue of concern or suggested changes to the existing network is typically raised within one of the supporting organisations (often following a report by one of the advisory committees), where it is discussed and a report produced which is then put out for public review. If the suggested changes impact on any other group within ICANN’s system, that group also reviews the suggested changes and makes its views known. The result is then put out for public review a second time. At the end of that process, the ICANN Board is provided with a report outlining all the previous discussions and with a list of recommendations. The Board then discusses the matter and either approves the changes, approves some and rejects others, rejects all of them, or sends the issue back down to one of the supporting organisations to review, often with an explanation as to what the problems are that need to be resolved before it can be approved. The process is then rerun until all the different parts of ICANN can agree a compromise or the Board of Directors make a decision on a report it is presented with. How is ICANN held accountable? ICANN has external as well as internal accountabilities. Externally, ICANN is an organisation incorporated under the law of the State of California in the United States. That means ICANN must abide by the laws of the United States and can be called to account by the judicial system i.e. ICANN can be taken to court. ICANN is also a non-profit public benefit corporation and its directors are legally responsible for upholding their duties under corporation law. Introduced competition to the domain name market by creating an accreditation process for registrars so a large number of companies could register domains. This has resulted in a dramatic reduction in the cost of domains (an 80 percent fall) and a diverse and vibrant market in the supply of the Internet’s basic building block. Introduced 13 new top-level domains to the Internet, ranging from .asia to .travel, accounting for over six million domains as of May 2007. ICANN has also developed a refined process to introduce further TLDs. Adopted guidelines for the introduction of internationalised domain names (IDNs), opening the way for domain registrations in hundreds of the world’s languages. Changes to the publicly available Whois data showing ownership of individual domains to account for both privacy and enforcement concerns. Promotion and development of processes to encourage the adoption of an upgrade to the existing Internet Protocol, from version 4 to version 6. Introduction of both new generic top-level domains and internationalised domain names. * There is an important exception to this in the form of “country code top-level domains” (ccTLDs) such as .de for Germany or .uk for the United Kingdom. There are over 250 ccTLDs, some of which have a contract with ICANN; others of which have signed working agreements with ICANN; and some of which have yet to enter any formal agreement with ICANN. ICANN however does carry out what is known as the “IANA function” in which every ccTLD’s main address is listed so the rest of the Internet can find it. ICANN is also in the position where it can add new TLDs to the wider system, as it did in 2000 and 2004 when seven and six new TLDs respectively were “added to the root”.